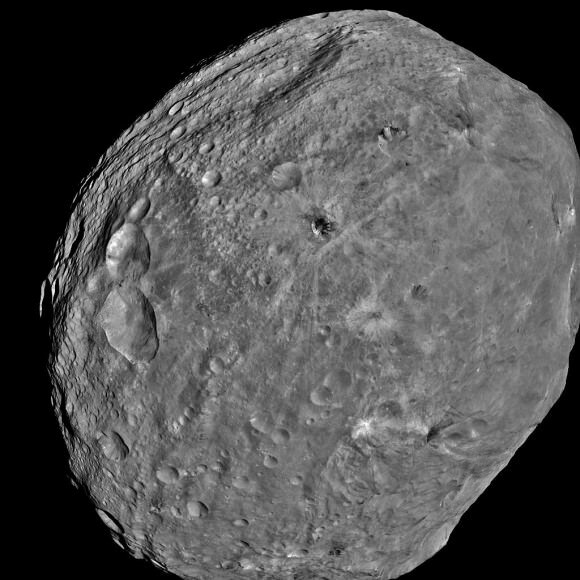 Dawn is now circling about Vesta at the lowest planned mapping orbit, dubbed LAMO for Low Altitude Mapping Orbit. The spacecraft is orbiting at an average altitude of barely 130 miles (210 kilometers) above the heavily bombarded and mysterious world that stems from the earliest eons of our solar system some 4.5 Billion years ago. Each orbit takes about 4.3 hours. “It is both gratifying and exciting that Dawn has been performing so well,” Rayman told me. Dawn Orbiting Over Vesta - A Hi Res Taste of What's Ahead! 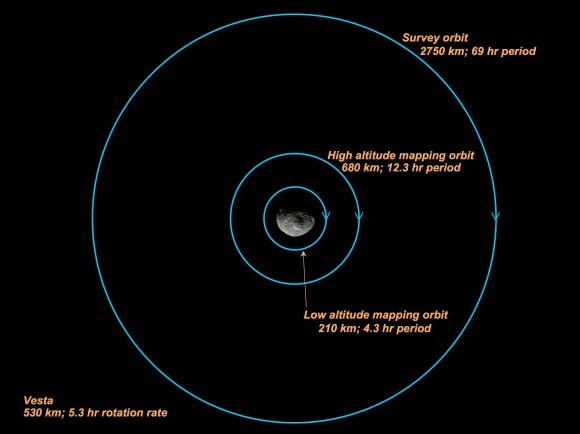 See Vesta science orbit diagram, below, provided courtesy of Dr. Marc Rayman. “We have a great deal of work ahead to acquire our planned data here, and I’m looking forward to every bit! Dawn will spend a minimum of 10 weeks acquiring data at the LAMO mapping orbit using all three onboard science instruments, provided by the US, Germany and Italy. By examining all the data in context, scientists hope to obtain a better understanding of the formation and evolution of the early solar system. Vesta is a proto-planet, largely unchanged since its formation, and whose evolution into a larger planet was stopped cold by the massive gravitational influence of the planet Jupiter. Dawn will be the first spaceship to orbit two worlds and is also the first mission to study the asteroid belt in detail. This is great! I can only imagine the anxiety and anticipation those involved with dawn must have felt these past 4 years. I wish them the best of luck in their research and data gathering. It’ll be interesting to see what ceres has in store for us. I’m stunned. This is such a great opportunity to explore the Universe! To see the Earth from a window of a spaceship! The trip to the stars…I’d love to pay a visit. Gotta love these groundbreaking interplanetary missions. 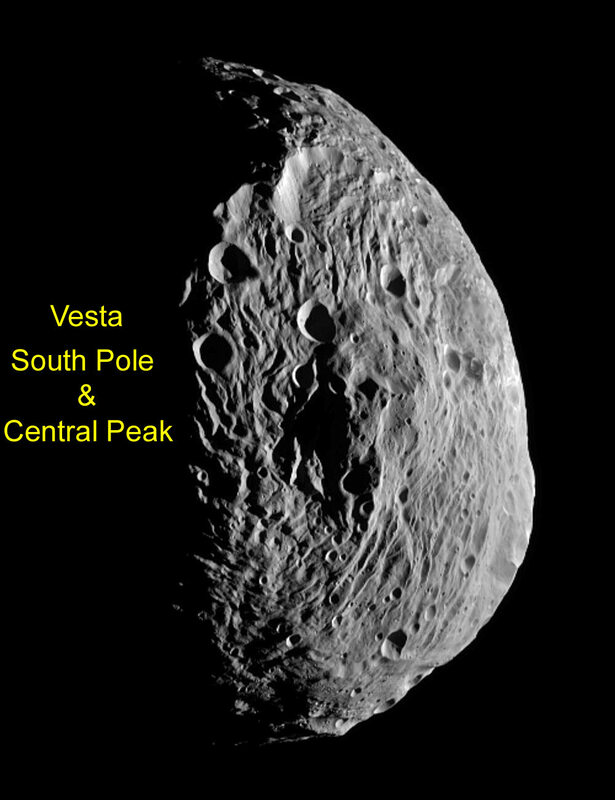 I remember a poster from when I was a kid that showed Vesta in quite a bit of detail. Obviously pure conjecture but it was perfectly round and rather yellow. Isn’t it the brightest asteroid? It doesn’t look so reflective in these images. I remember similar images/posters from when I was young. The moon is quite bright to our eyes, but the actual color is quite dark. An object can be dark in color, yet very reflective depending on it’s composition. I’m curious how hard it is to keep Dawn in orbit around Vesta. With such low gravity, it seems it wouldn’t take much for Dawn to go flying off into space. It’s quite a tricky dynamics problem isn’t it, but this is at the high end of asteroids in terms of mass. Imagine orbiting around a much smaller potato rock, or even landing on one. … I wonder if the Japanese could manage it? Shouldn’t that read ‘Dawn will be the first spaceship to orbit two other worlds, besides Earth’? Congratulations NASA on this success. Keep going forward! Previous PostPrevious A Day in the Sun: Will It Make a Difference for Russia’s Phobos-Grunt?